Thread Rules: In this thread, Info from the book or any form of leaks regarding the plot are to be put in a spoiler with warning. Posts violating this rule will be deleted at my discretion, repeat offenders will be subject to further penalties. So the red wedding is going to be in season 3, that is pretty much certain. Edmure is being cast, and the Blackfish along with additions to the Tyrell family like the Queen of Thorns and they are recasting Berric Dondarrion. Also Shireen has been cast. Here are some of the contenders from what I have heard. 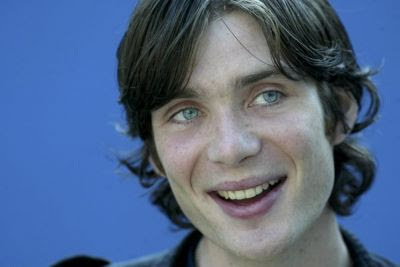 And although we would all like to see Cillian Murphy play him, it just ain't gonna happen, haha. Already on this, are we? And when was that released? Will it be the end of the third season? "But...The guy I voted for isn't hurting the right people"
Post TV in the title somewhere... for noobs. And who the hell is Shireen? Oh Stannis daughter? Why should I care? What does she do? Lizards rapidly evolve after introduction to an Island. Well, she might be the only human Stannis loves/cares for. Also, Shireen looks perfect. Can't wait for SoS.. so much events. I'm looking forward to the Red Wedding. It was really heart-breaking, especially Catelyn's last thoughts. I hope they'll do it right. Life is routine, punctuated by excitement. Theres a chance the producers know more about the future storyline than we do from GRRM. This, I think she will become quite important in TWOW.Also curious to see the greyscale. Very good point Eire... personally she seems such a minor character. Like Jeyne Westerling family... they were cut. So maybe they do know something we dont. I am incredibly annoyed about what they did with Jeyne Westerling and a few other things in the second season but we have no choice but to move on now. It aint up to us I guess how it turns out. But I do know that they HAVE to include the Red Wedding in the next season and do it in an emotionally effective way ( they didn't do it with Jon killing Qhorin for me ). I dont really see what they can change about that... perhaps the characters will die differently but thats about it. Like how Theon end was different. How about a total ban on book related discussion since it's largely irrelevant and tedious. 300 Warlords of Sparta*Sicilia*End of Days*End of Days II Lycan Rising. I'm sure theres a lot they can change about it if they want. They might even do something stupid like not include Smalljon in the scene. He can fight to save Robb, and he doesn't have to die doing it either. Smalljon's similar to Garlan Tyrell, a character that may appear a couple of times but doesn't have much importance in the greater story. Well Domhnall Gleeson is the best choice for Ramsay, the other dude is just too pretty. As for the Blackfish I think that Bernard Hill would be excellent and he doesn't seem to have anything particular on this schedule either. Bernard Hill would be perfect. Please don't read this if you haven't read the books past calsh of kinds. If you do you're stupid. Well I don't think that Kit is that pretty while Robert Sheehan is extremely pretty and feminine looking while Ramsay is hardly pretty and I think Domhnall Gleeson would fit the look of Ramsay perfectly. Last edited by EireEmerald; June 17, 2012 at 03:55 PM. What he said - don't read! That's true, it is a powerful image how he (and the other northerners still present) are ready to die to protect Robb. But being a pragmatist I can't see them casting someone just for that role. Why is "Storm of Swords" in the thread title. If this is about the season 3 of the tv show Game of Thrones. Just call it that "Game of Thrones - Season 3" People will come in here thinking they can talk about the books freely titled otherwise.